On this day in 1908, Padraig (Patrick) Pearse opened St. Enda’s (or Scoil Éanna) school for boys. Pearse was concerned with education in Ireland and felt that students were just “learning how to be British”, rather than being encouraged to study their own language and rich history. He felt that was unacceptable and decided that his school would be different. Pearse was a poet and a dreamer, a devoted headmaster and an Irish language enthusiast who infected his students with the same passions. However, Padraig Pearse was no businessman. His school was in trouble financially before it even opened its doors and it struggled through the years – barely able to stay open. The school lived on promises and prayers, limited financial donations from prominent Nationalists, and enrollment fees. However, its suburban location made it a harder choice for parents and it did not thrive as Pearse had hoped. It would have closed in the first few years if not for the more business-minded help from his assistant headmaster, Thomas MacDonagh, and his brother Willie. The boys at St. Enda’s learned Irish language and history and other studies were focused on the more creative subjects – drama, writing, and art – in addition to regular classes. Their headmaster was an inspiration to them and many followed in his footsteps, devoting themselves to promoting the Irish language and history. They followed him into his increasingly rebellious political opinions as well, even when they got so revolutionary that their parents were concerned. Many of his pupils joined the Fianna Éireann, a Nationalist organization for young boys and girls in Ireland. As the years went on, the school changed location and remained open – even as the headmaster’s attention waned. Pearse became heavily involved in the Irish Republican Brotherhood – as did Thomas Macdonagh. As they began planning for their armed uprising, they were less and less involved in the everyday workings of the school but their passion for guiding students into the study of Ireland never wavered. In fact, no less than 15 students were involved the Rising when it happened in 1916. St. Enda’s was reopened shortly after the fight even though its founder, his brother and others were executed in the aftermath of the rebellion. Ironically, attendance boomed after their deaths because they were seen as Irish martyrs. Margaret Pearse who had two sons executed by the British made it thrive for a few more years in her sons’ memories. The headmaster post was given to Frank Burke who was a former pupil who had also fought with the Pearse brothers in the rising and he continued the curriculum as Pearse would have wanted. However, without their fanatical leadership and miracle financing, St. Enda’s couldn’t last. 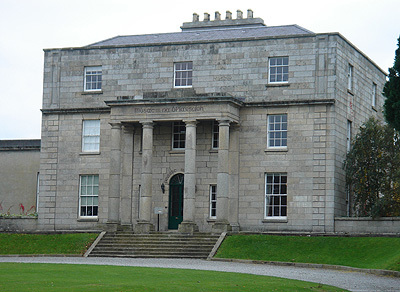 The school closed in 1935 and in its place a museum dedicated to its founder, Patrick Pearse, now stands. This entry was posted in Education, Inspiration, Ireland, Irish History, Language and tagged St. Enda's, Thomas MacDonagh, William Pearse.